Growing up in conservative Baptist churches in Australia, instantaneous miraculous healing was not something I ever encountered or witnessed. It's not that we didn't believe in it, it's just that...I don't really know how to finish that sentence. It's been like a 'dormant' part of my Christian worldview: I certainly believe that God can heal people instantly if He chooses to, I've just never seen it. 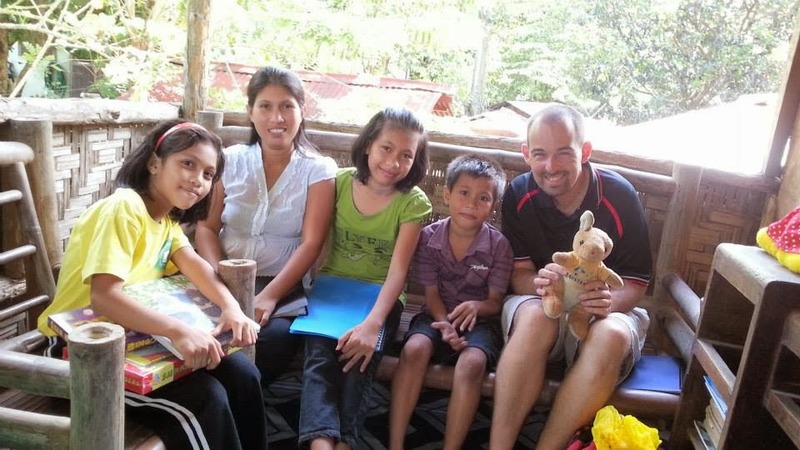 In September 2014 I visited three children I sponsored with Compassion in the Philippines. On the visits to Cashofia and John Dave I was privileged to pray for healing, with vastly different results. This experience caused me to dig right down to the foundations of what I believe about God and why. While visiting Cashofia’s house, they asked me to come and meet her grandmother. She is 49, though she looks a lot older, and had been paralyzed for a few weeks after a work accident. She was lying prostrate on her back, helpless, weak and distressed. I was asked to pray for her, which is something I don’t take lightly. I was not able to put my hands on her spine, since she was on her back and could not move, so I put my hands on her head and we spent the next 15 minutes just praying. It was incredibly profound. The Pastor and the other staff who came along joined in with me as we called on the power of God to bring healing in the name of Jesus. We knew that such a miracle would do wonders for bringing hope to that community. On this day there was no instant cure, and we knew that no matter how much begging, pleading, beseeching or proclaiming we did, ultimately it’s up to God as to when, how and even ‘if’ He heals her. It’s hard walking away from something like that with no immediate visible results, but it’s a challenging exercise in faith and trust, believing that the One who is mighty to save and heal will do it. Two days later I visited John Dave in Bacolod. Early on in the day John Dave had been subdued and visibly distressed due to a persistent toothache. I was really worried this was going to affect our day together or even cut it short. 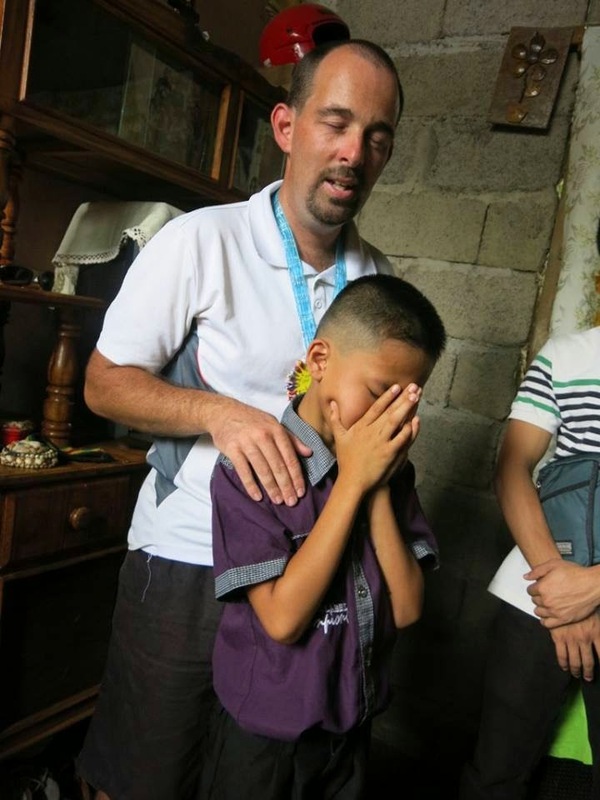 When I prayed for the family at their house, I laid my hand on his face and asked God for healing in Jesus' name. I closely studied him for the rest of the day and there was not a single time he put his hand to his mouth or showed signs of discomfort. I am convinced that God answered my prayer and healed John Dave to allow us to enjoy our day together, and to demonstrate His power and might. On the issue of miraculous healing I know there are extremes. Some believe that if nothing happens when you pray you either have sin in your life and not enough faith. Others believe that miraculous healing stopped when Jesus ascended back to Heaven. Ultimately I don't have a snappy Twitter-worthy conclusion. Because we look at life differently to God, His ways and decisions can seem arbitrary and random to us. I guess it's unsatisfying, but in life sometimes God says "Yes", other times He says "No" and either way we just have to accept it and have faith that some good will come out of it.